When it comes to your pictures we provide you with the highest quality images and the most current graphics as well. We work to make sure that the designs we use are always the best they can be! We make sure that every athlete gets equal camera time and we take our time to ensure everyone gets the best picture possible on photo day! We specialize in Team & Individual Photography. Utilizing a large variety of products to choose from and a very professional staff we have all of the tools to make your photo day a success! When we set up for an event we bring full size 10'x10' light controlled tents to ensure that we give your photos proper lighting and no squinting eyes! Each player gets unique attention from our professional photographer and photo assistant. We ensure that each player is posed correctly to the pose chosen for that photo day. We also have a posing chart that we call the "Pick A Pose" board that gives the older athletes the choice of a unique pose so that they don't just look like everyone else! When you choose us for your photo day you are getting more than just a photographer with a camera! We take the photo day experience to another level with our organization, service and photo day process! We are well equipped to take your league photos inside and outside! We provide an organized workflow by using a lane system and designated photo area. We can provide multiple individual and team photographers for a fun and efficient photo day. Our staff size is adjusted according to your league size and needs. 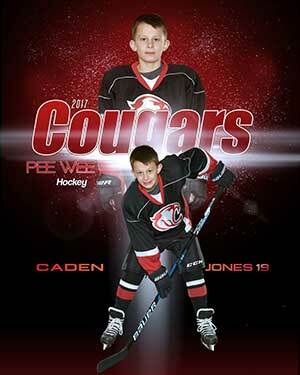 We offer sports themed backgrounds or natural environment. When shooting outside we use light controlled tents with professional lighting for better photos. Parents can choose from multiple pose options. We offer a wide range of custom products and specialty items for your parents to choose from on photo day! Prime Sports Team Photography sets the highest standard for our photography and photo packages. Our master photographers capture the best of your children and our in house photo lab allows us to put out the highest quality photo prints. With multiple products to choose from and no minimum order quantity you are guaranteed to have a quality outcome!